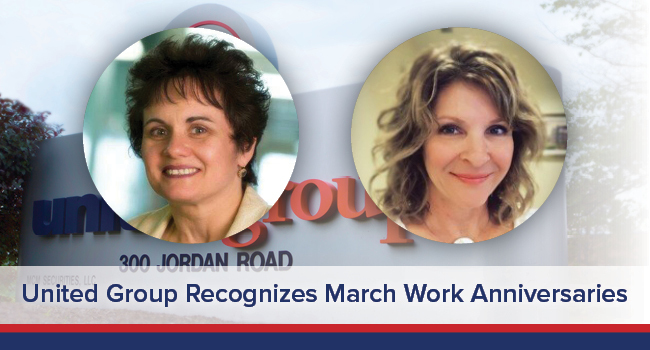 After an anniversary-less February, United Group is proud to once again, recognize two outstanding members of their team during the month of March. Nancy Robinson and Tanya Langston are celebrating their tenth and fifth year, respectively, with United Group. Nancy Robinson brought her high-energy and “can do” spirit to United Group as a Property Accountant ten year ago this month. You can always find her in the corporate office with a big smile, and a willingness to lend a helping hand to anyone in need. Tanya Langston is also celebrating a milestone work anniversary with United Group. Five years ago, Tanya began her career as a Concierge at the Lodge at BridgeMill, an independent senior living community in Canton, GA. Tanya has tirelessly helped create a best in class customer service experience for hundreds of residents and prospects at the Lodge at BridgeMill. Learn more about Nancy and Tanya, and hear about their experience with Untied Group! This was a new industry for me when I started and I had to learn property management. I remember how well everyone got along, management displayed strong intellect, they were very personable and extremely helpful. I knew early on that United Group was a class-act organization. It was nice to see upper management in a corporate office have such competence and knowledge. Yes. I started with senior and student housing projects and now I work with corporate accounts. The accounting department produces financials and provides additional financial reporting to management. The turnaround time is normally quick and a property accountant needs to work well with site staff to maximize efficiency. Your priorities can change quickly depending management needs and there is always more to learn. That is what makes this position challenging and exciting. I enjoy the people I work with. The amazing professionals I get to learn from every day, new ideas that are shared and new areas of our organization that I am able to learn. I also enjoy the challenge and the opportunity to continue to learn. It’s a fast-paced company, and if you ask questions, people are always there to help and give assistance. The same advice I would give anyone – we are all on the same team. When you decide to operate as a team you can synergize. Meaning, it is not a blame game when something goes wrong, it is about figuring out a solution to improve workflow so the team can operate more efficiently (open communication). Not everyone on your team will think like you and not everyone has a good day all the time. Improve your listening skills, learn from your team members and extend the same courtesy you would like extend to you in your time of less than perfectness. Your job is a self-portrait, and you should always autograph your work. Always try your best. I started five years ago on March 24th as a part time Concierge with The Lodge at BridgeMill. My first day here was spent primarily on the telephone with Michaela Gabriele. She was so kind, welcoming and helpful. I am currently in the same role that I started in. Shortly after I was hired, I became a fulltime employee. My typical day is spent helping our senior residents with their requests, needs, questions, and issues. I answer the phone, and have a multitude of daily responsibilities in between my primary responsibility, which is responding to resident needs. Seniors can be quite demanding! 4.) What do you love most about United Group? I have had the opportunity to make some lifelong friends and work with some great people over the last five years. At the end of the day, it has been a wonderful experience working for United Group. 5.) What advice do you want to give yourself now, after working for the United Group during for past 5 years? I can honestly say, there is never a dull moment here at The Lodge. I love my residents and have enjoyed working at the front desk. It is truly the only job I would have here. Some days are exhausting but the residents always make it rewarding.